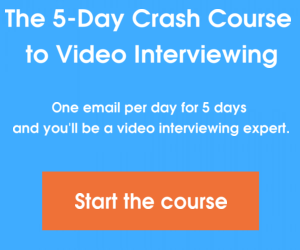 How Do I Video Interview…Shy Candidates? As a hiring manager, it’s common to interact with and interview extroverts, introverts, and sometimes a mix of the two. It’s your job to be prepared to accommodate all kinds of personality types during an interview. Today we will be touching on how to use video interviewing for candidates with a shy personality. How can you tailor your interview questions and demeanor to make a shy candidate come out of their shell? One size does not fit all when it comes to your interviewing techniques. Many employers’ interview techniques are crafted for a more extroverted job seeker, causing them to completely overlook the possibility of encountering a more introverted candidate. Just because they’re shy doesn’t mean they won’t be great workers. It’s a common misconception that introverted individuals are self-absorbed, but in reality, they’re usually more thoughtful and reflective than their extroverted counterparts. Introverts have a lot to offer their employers, whether it’s their exemplary listening abilities or their observational skills. Unfortunately, shy candidates don’t always present their skills, talents, and abilities in the same way as other candidates, especially during a job interview, but the “quiet types” can be an asset to every workplace. This is where it’s important for the interviewer to modify their interview questions and responses to make certain shy candidates feel comfortable going above and beyond with their answers. Shy candidates tend to take a bit more time to “warm up” in a job interview. With that being said, take advantage of a spotlight interview when beginning the job interview process with any candidate. A spotlight interview will allow you to send out a few interview questions for the candidate to answer in their own place, on their own time (although you still set a final deadline, of course). This method lets the shyer candidates feel more comfortable and allows them to create more effective and moving responses to your interview questions. This interview will act as a great preparation for the candidate if they are qualified to move ahead in the interview process. While most introverts wouldn’t normally boast about their abilities, many do much better talking about themselves in an interview setting that is conversational. Reduce the introverted interviewee’s nervousness by formatting the job interview as a conversation rather than an interrogation. This will allow the candidate to come out of their shell and answer your questions with more direct confidence and fervor that might not otherwise be easily expressed. While this a rather common interview question, it’s important to pay special attention when prompting an introvert to answer. When it comes to their style of work, many introverts often find out all too late that the company they’re working for just doesn’t match up with their personal work style. Preface work styles early in the conversation to get a deeper look into how the candidate handles tasks, interactions, and management responsibilities- and whether or not their answers fit with your company style. It’s also important to let introverts express confidence in their unique work style. Shy candidates don’t wear their accomplishments on their sleeves. As an interviewer, it might be harder for you to truly evaluate their achievements without directly asking about them. Format questions so the interviewee is prompted to give more information about their specific tasks, achievements, and anything else that digs deeper into their experiences. Take the time and preparation to effectively accommodate all kinds of candidates during the job interview process. Remember to stay conversational, focus on achievements, and learn about a candidate’s personal work style. What are some tactics you’ve used to get shy candidates to open up during a job interview? Share in the comments!